Any websites still have free sign blazer? I changed my computer and can't find my sign blazer disc. Is there a place that still let's you download it? I have a customer who needs the graphics redone on his semi. I took a picture of it and tried to use inkscape to vectorize it. Unfortunately the color contrast isn't good enough to get a good result. I got the font, but the raccoon tail and top of the B is where I'm having problems. It was origionally black with brushed aluminum and it lasted for almost a million miles! If someone can help, I'd be extremely greatful! Which direction to go now? The cut vinyl business is doing great. Making signs and graphics. Now I'm looking to expand, but I don't know which direction to go. Do I go into the apparel and get a silk screen set-up, or a DTG printer? Or do I go with a wide format printer and do printed graphics? There are a few Silk Screen businesses around this small community. 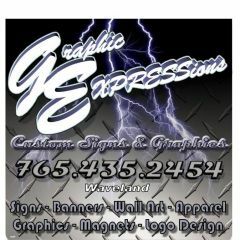 Only one business who does printed graphics. I would like to go into something that'll help in the four month of the year that's slow. Any suggestions? How do I research the demand in small rural communities? Ask the experts on US Cutter. Would appreciate any feedback. Thanks! Where is this font available at? This is a must for my collection. I'm finding ones that are close, but the s throws me off. Do you think the creator of this card used a different font for the s? I searched through everything that I have and still cannot find the script for Transport. If anyone can help to identify it. I'd be in debt to you. If you have a copy, I'd be greatful! I think it'll work. Thank you very much! I have a request for a teepee on t-shirts. I found extremely simple ones, but I would like something with a little more detail. In an EPS file please. Thanks in advance. Dbannon replied to Dbannon's topic in Business Practices, Sales and Pricing, etc. Does SB have spell check? I never noticed, if not, that would be a great addition! anyone have a wine or champaine bottle? I don't drink it so I can't spell it either! lol thanks! This design was done 2 days into getting Xara. 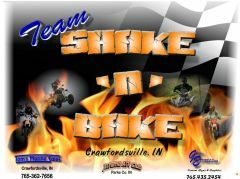 It's for some local racers and have done over 40 of these shirts for them! The orders keep coming in! Dbannon replied to jdskin's topic in Business Practices, Sales and Pricing, etc. My boxes must be old. They are brown on the inside. Never heard anything from the postmaster. Now flat rate boxes I heard would get trouble going. If you're still leery about it, I've even gone to local grocery stores and asked for their old boxes. There's plenty of cardboard to make shipping containers/ envelopes for decals.